So the biggest thing to happen this week was James finally turned six years old! 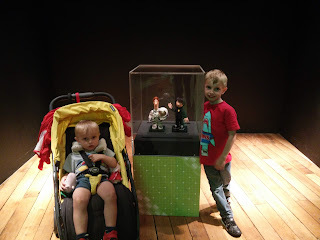 Mummy and the boys have been at nana and gaga's house since last Monday as we all had dental appointments and then Daddy had to go away for a couple of days with work. On Tuesday we went to the local nature reserve at Hauxley. 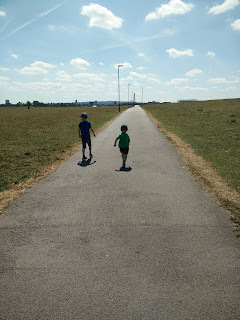 The boys had a brilliant time running along the path. 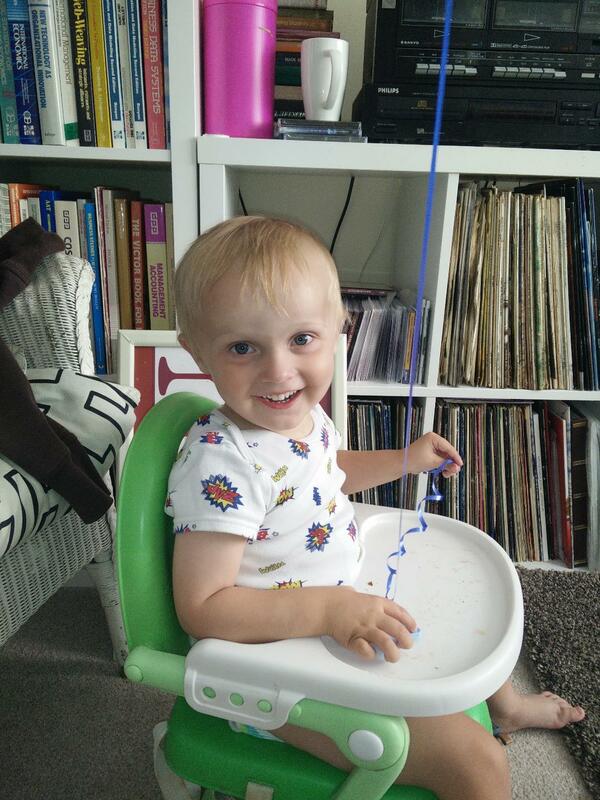 Freddie started off in his pushchair, but we let him out for a run. It was so cute seeing James holding his reins! Wednesday started off pretty quiet. We did a video call with daddy before he went to work. 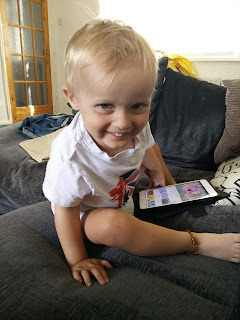 Mummy had some work to do on her iPad, so James curled up watching YouTube kids and Freddie was watching Blaze and the Monster Machines on the kindle fire. Daddy got back on Friday night and mummy went home to meet him and to also sort out some bits for the holiday without the boys being around! We then went up to nana and gaga's house on Saturday morning. On Saturday mummy and daddy arrived at Nana and Gaga's around lunch time, James had decided since it was a nice day he wanted a BBQ in the back garden. We had such a lovely time! Both boys were so excited and hyper that we didn't get them into bed till half eight! On James Birthday Freddie was awake at 6am and we had to give him milk and cereal in bed to keep him quite till James finally woke up around 7! Then it was downstairs to open his presents! We had his big present of a scooter hidden behind his other smaller presents!! Later on we went to the local pub The Hermitage for their amazing carvery! 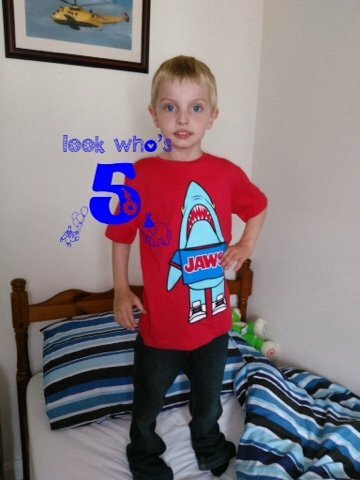 My darling James today you are six years old!! 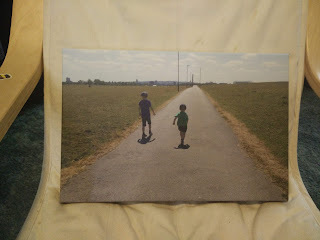 It really does not seem possible that my tiny baby is already six years old and just like the year you were born, this year your birthday falls on August Bank Holiday Sunday! We are spending your birthday at Nana and Gaga's house and then you are having your birthday party next weekend with five of your school friends at our house with pizza and a movie! 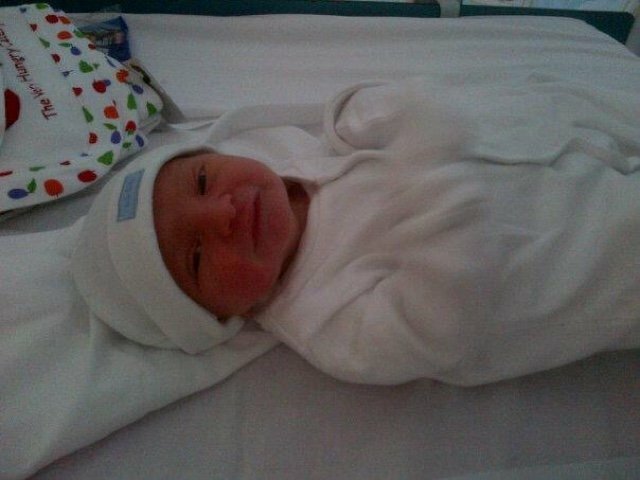 Your are definitely very stubborn like mummy and Gaga and are still very much a daddy's boy! You have grown up so much this year and have turned into an even more amazing boy than you were before! You absolutely adore your little brother and you have so much fun together even if mummy and daddy have to sometimes tell you to calm down as you are getting him a little bit too hyper especially just before bed! Your have absolutely flourished at school this year! Your reading and writing has come on so much! You were so pleased when you moved up two reading levels in year one! I hope you enjoy year two as much as you have year one! We have loved being able to see you and your friends on a Thursday morning when we have been at sure start and will really miss it next year since our group is not going to be running anymore. 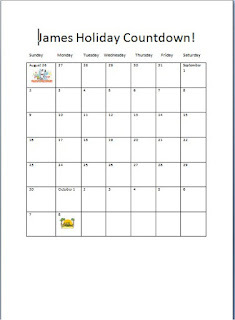 Today we are telling you about our holiday for October! 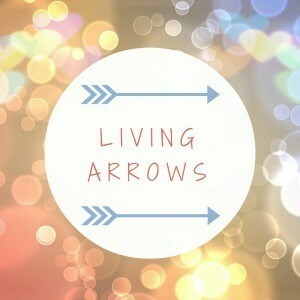 I really hope you are excited! It will be your first time out the country and on a plane! Mummy is excited as it means we can finally bring out all the stuff we have been buying and putting away for you and Freddie since November last year!! 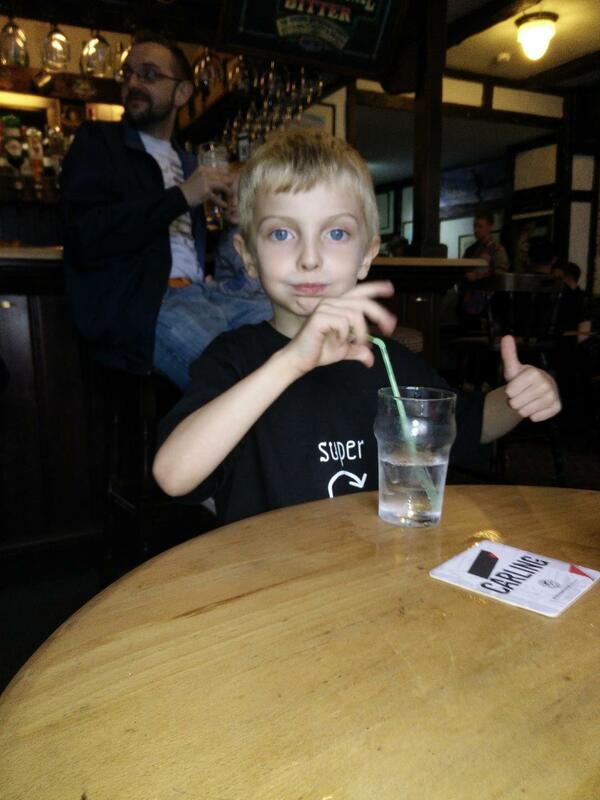 You still love Spiderman, Go Jetters and all things Cbeebies and Milkshake! You have even got Freddie loving Swashbuckle!! 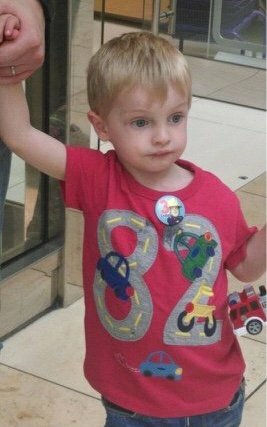 We are hoping to go back to Alton Towers and Cbeebies land again next year now that Freddie is tall enough for all the rides! 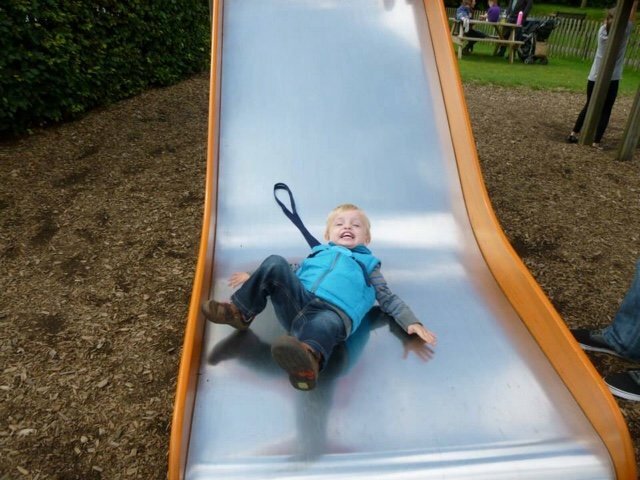 You are desperate to take him onto the Go Jetters Vroomster and the Octonauts rollercoaster!! I hope you have a brilliant day! 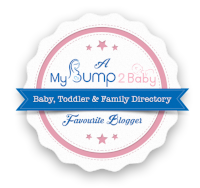 Being a busy mum of two boys, my go to for any situation is the good old baby wipe. From using them to clean up messy nappies, to food stained hands and faces, snotty noses and I have even been known to use them to clean scraped knees! But in this day and age there are all the environmental concerns, How many baby wipes have I used since Freddie was born? I would say at least a pack of 56 a week and hes now two and a half and I still use a pack at least ever week - two weeks more so if he has a dairy or soya reaction! That's where Mum & You come in! Their baby wipes are 100% Biodegradable! 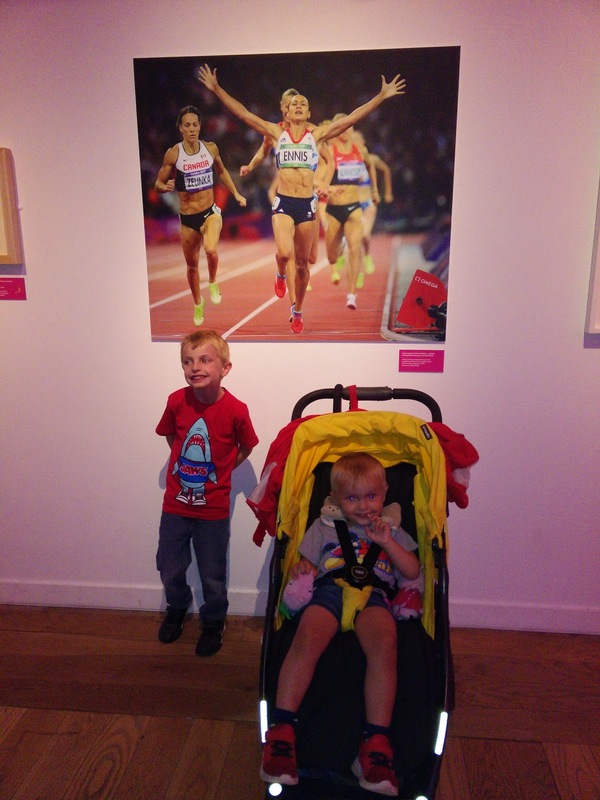 From their website: "The Mum & You story is a simple one. 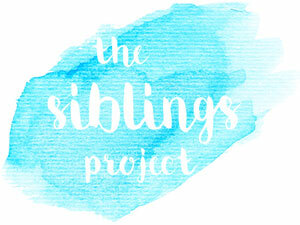 We wanted to create a company where supporting mums and their children became integral to everything. Rajiv wants to create a better world where children live healthy, live strong and live to meet their full potential. You can find out more about this on our nappychat page. Soon after, Rajiv discovered Natasha Kaplinsky OBE had similar ambitions, and wanted to create a range of products which made mums’ lives easier, and together they founded Mum & You. 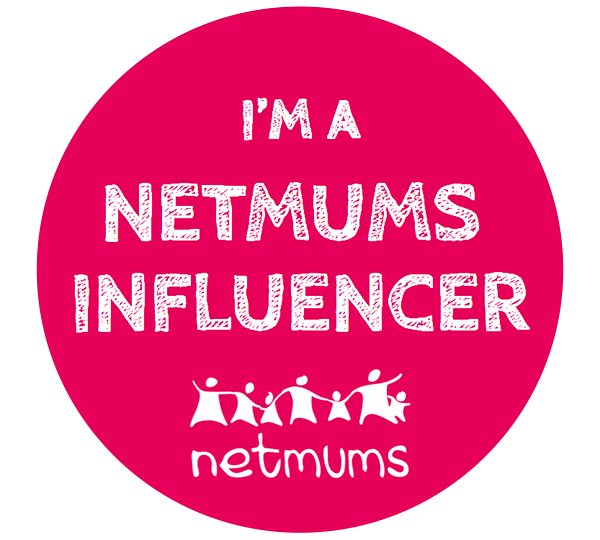 Mum & You supports mums by putting aside 1% of its revenue each month to help those in need, and regularly donates nappies and baby wipes to Save the Children and The Trussell Trust (a network of over 400 food banks)." I am thrilled that we are going to be working with Mum & You and we have an exclusive discount code for their website for you are readers! Simply enter VICKIM&Y20W at the checkout! Check back in a few weeks to see how we are getting along with using the wipes!! This week started off with a quiet day at home. 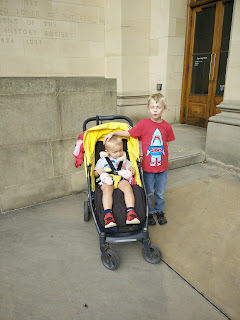 James was meant to go and get his eyes tested, but the rain was so bad and Freddie is going through a stage of not wearing his rain cover on the pram I had to call up and re arrange it. Now he has it after school in the second week of term. I promised him a McDonalds tea if he's a good boy for me! So instead of going across to Kingston Park we had a movie day at home! We started off with two of the Wizard of Oz sequel type films on Amazon Prime but they were not all that good. We then moved onto Free Willy and Free Willy 2!! I have been trying to get the boys to watch films from when I was a child/teenager and so far we have watched ET, Willy Wonka and the chocolate factory and now Free Willy and Free Willy 2!! 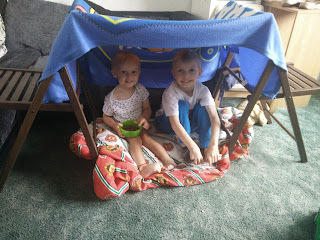 We also built a den in our lounge out of kitchen chairs, James duvet and James blanket! All went well till Freddie destroyed it!! James ended up with a doctors appointment on Wednesday morning so we went down for that then went to Aldi to get some milk. Then it was Free Willy 3, Peppa Pig and Dinotrux for the rest of the day till daddy got home about half past four! 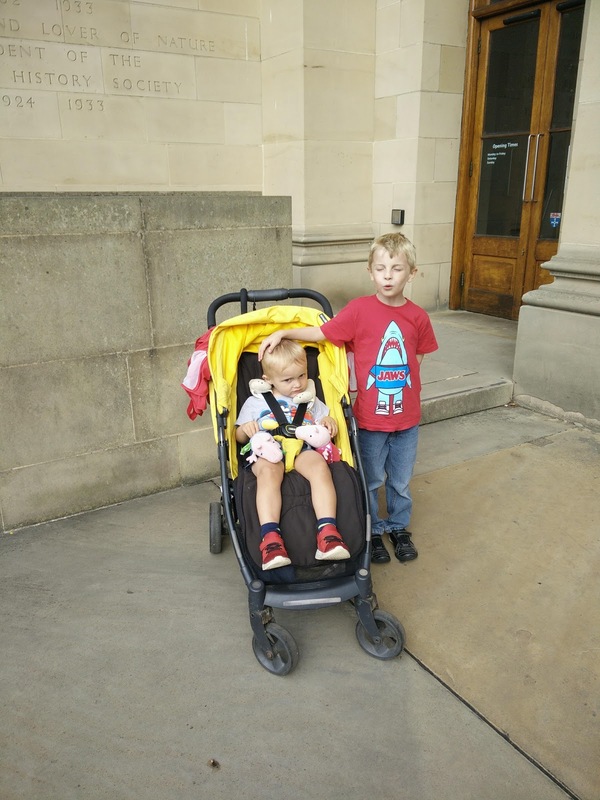 Thursday Freddie had a doctors appointment to discuss his on going issues with dairy and soya as we are waiting for his dietitian appointment, but we need to organise a GP letter for when we go on holiday to allow us to carry Almond milk through security at the airport. Finally we got to Friday! End of the week and this mummy was ready to chill out and have some family time before a busy week of us going to see Nana and Gaga and getting ready for the hype of James birthday! How can it be August already! I swear it was only January yesterday! 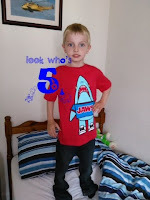 Still it is August and in just about a weeks time James turns 6!!!! 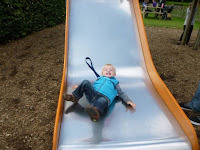 As both the boys are on holiday from school and playgroup we have been spending a lot of time out and about in our local area together having fun! 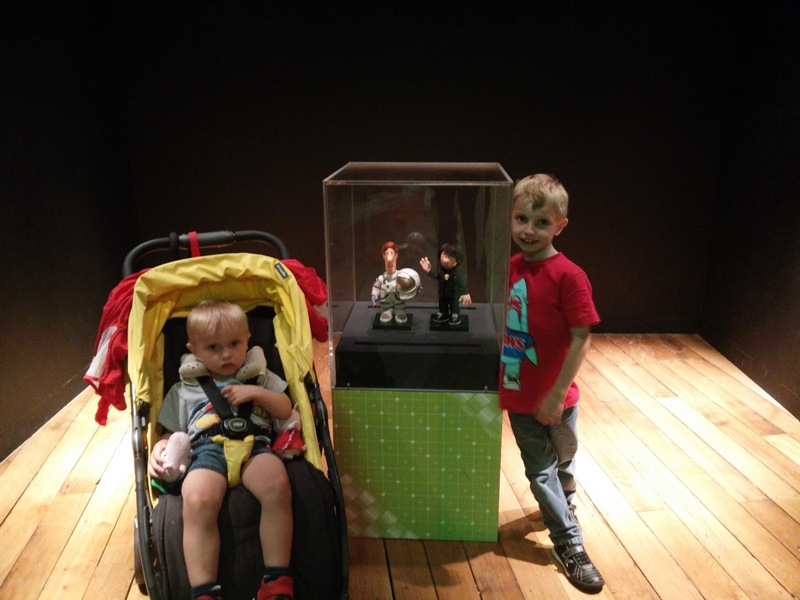 These photos we taken when we went to The Great North Museum to see their special exhibition for the Great Exhibition of the North 2018. The boys had an absolutely brilliant morning exploring the museum although Freddie did have to stay in his pushchair as the place was quite busy and we didn't have daddy, nana or gaga on hand to help with the little runaway aka Freddie! 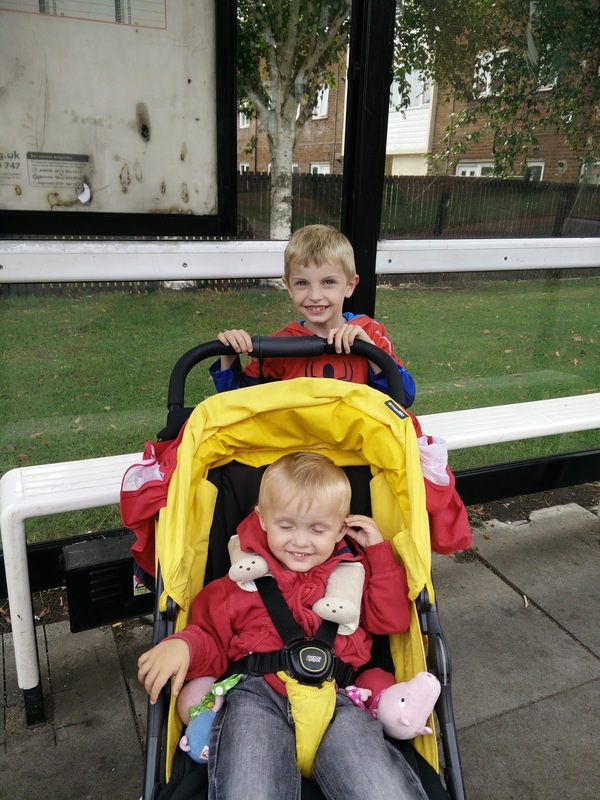 By next month's siblings post James will have started Year Two and Freddie will be back at playgroup for the Autumn term! We are really looking forward to our first family holiday in October, as yet James has no idea that we are going and I am starting to plan how we are going to tell him about going! If we told him now that we were going then he would ask everyday if it was time to go and he would literally drive us crazy! I came up with telling him on his birthday which is six weeks and one day before we go! One of the things I am going to give him for his birthday is a countdown chart! 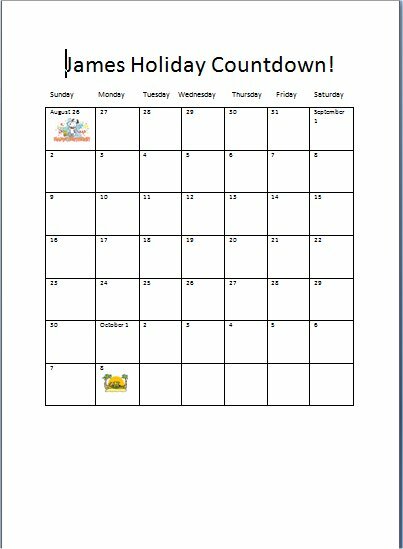 I have made a little calendar from his birthday for him to cross the days off. I thought doing this would help him grasp that we were going but not at that very moment! We have chosen to go with the countdown chart and have also wrapped up some things like a pool ring and some goggles for him as part of his birthday presents! I am so excited for James birthday to tell him we are going to be going on holiday! I can't believe we have made it to week 33 already!! 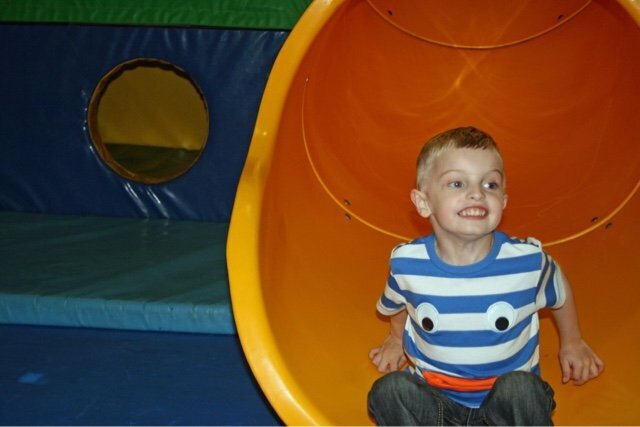 We are now over half way through the summer holidays and on the final count down to James turning six, his birthday party and of course the return to school and the start of year two! 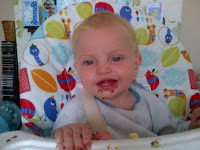 So James has spent the last week staying with his Nana and Gaga getting totally spoilt rotten as normal! Mummy and Freddie did crash his trip for one night so mummy could catch up with some of her old friends who she has not seen in years and also so they could meet the boys! 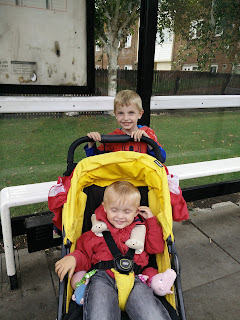 Mummy and Freddie came home on Tuesday on the bus and had a chilled out afternoon. Wednesday we took a walk across to Kingston Park to get Freddie out the house and away from the demands of Peppa Pig on Amazon Prime. While we were doing that James had a trip to Warkworth Castle which is near his Nana and Gaga's house. They have passes to get into the castle and James absolutely loves going when he visits! Thursday we had a Sure Start group on at the local sports field, we didn't actually stay too long as Freddie was not impressed at it being where it was. I think when I told him we were going to Sure Start he thought we were going to be in the room and garden we normally are, not in the local park. We were back home by half past 12 when it only started at 12! James on the other hand had a trip to Alnmouth beach and tea at the local pub! Friday mummy and Freddie went back across to Kingston Park to get Freddie his nappies, pull ups and dairy free snacks. We then went to Aldi as it had reopened after its refurbishment and got lost in the shop!! James came home on Saturday lunch time and Freddie was thrilled to see him!! 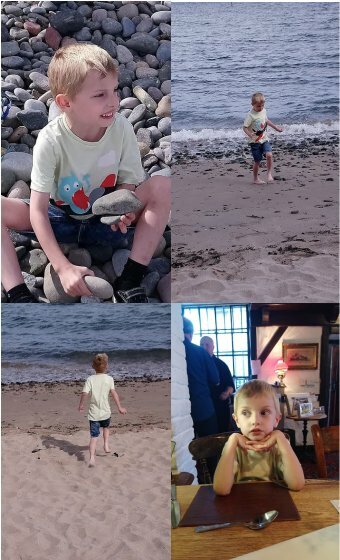 It was impossible to chose one photo of James from his time away so its a collage of him at the beach and out for dinner! 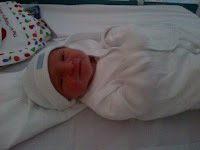 Freddie has just been a little cheese ball as normal when he sees the camera! His photo was taken when he stole my iPad and sat on the sofa!